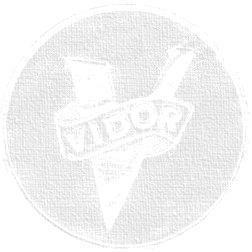 This Vidor features a lid-mounted on/off switch and breaks no new ground in terms of design. 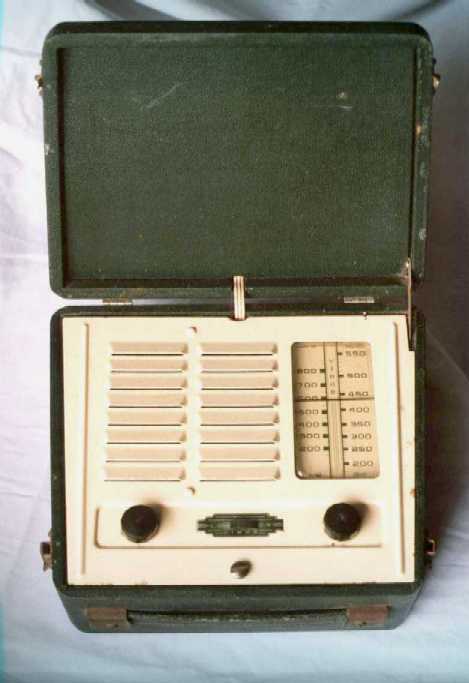 Vidor concentrated on the suitcase/handbag/attache case design until the late 1950's - perhaps because the overhead of a fabric covered wooden case was proven, cheap and could be offered in many colours. Of interest here is the deck appears to be a precursor, in some elements, for other models. Certainly, the dial is reminiscent of the earlier CN396 but the knob & slide switch suggest the CN420.